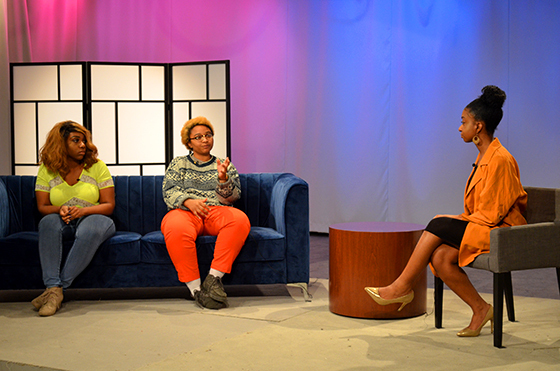 The Vibe presents a live studio performance by special guest Chill Moody in a new episode airing this Thursday, May 24 at 1 and 9 p.m. The show starts off with a discussion of the recent simultaneous success of Black Panther and A Wrinkle a Time–both films made by black directors and featuring black actors as the leads–and what this hopefully means for the future of cinema. On this edition of Hip Hop History, the influence of rap on mainstream cinema starting in the 90s, from Juice to Men in Black to 8 Mile, to Black Panther today, is covered. The Artist Spotlight highlights visual artist Taj Cannon, who paints and makes clothes under the name Poscé. He’s also looking forward to a six-week residency at Yale Norfolk this summer. 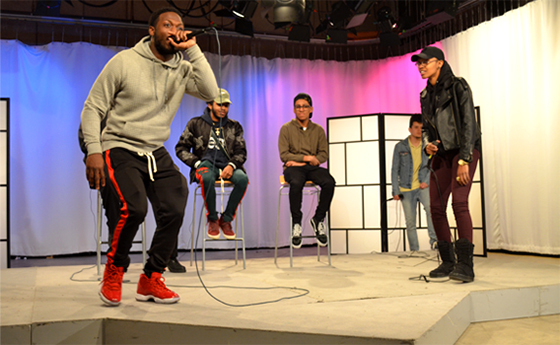 In addition to another round of rap battles and a Poetry Spotlight, West Philly native and Philadelphia Magazine’s “Best Rapper” Chill Moody performs his signature brand of uplifting rap live for the studio audience.